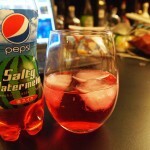 Review: Pepsi Salty Watermelon | Oyatsu Break! So I don’t live in Japan, but I do seem very fortunate in that I manage—by hook or by crook—to try many of the special, seasonal, limited snacks and beverages produced for the denizens of that nation. I’m very lucky to get to travel there, and luckier still that I’ve made some friends there that are willing to hook me up. Packaging: Weighing in at 490ml, this bottle is a good shape and easy to grab, but unfortunately the shrink-wrapped label isn’t glued down which actually makes it a little slippery. 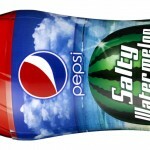 The design is great though, emphasizing the summery nature of the beverage with a warm blue sky and fluffy clouds over a beach, and a warm watermelon glimmering in the sun. 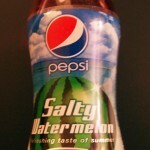 The English language on the package is great too, and the slogan “Refreshing taste of summer” absolutely made my day. Cracking the bottle open while sitting in my Toronto apartment immediately brought me back to Japan. 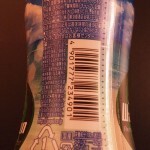 The bottles there basically ‘snap’ open as the pressurized interior allows in air—it’s unique to Japanese sodas! 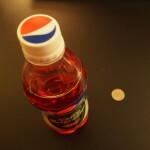 Not this one in particular, but I figured I’d mention it as one of the things I love about soda-pop in Japan. Scent and Taste: It’s a very rich watermelon scent right away. It smells crisp and watery, like a real watermelon, with only a hint of sweetness. Usually watermelon flavoured candies are overwhelmingly sweet, and this was mellower and nice. 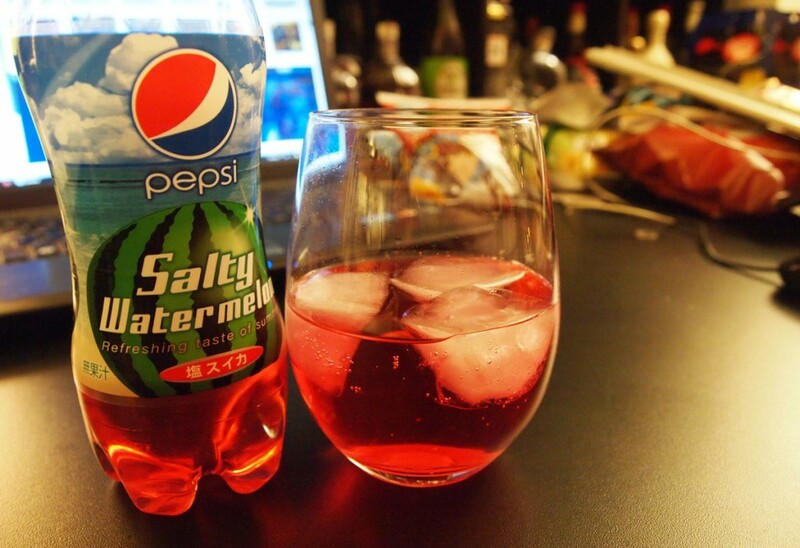 It’s highly carbonated on the tongue, and the first taste is actually watermelon! The sweetness is dialled back from what you might expect watermelon soda to taste like though—I actually like melon-flavoured sodas from Japan, but they’re generally so sweet your teeth hurt, and this isn’t like that. It’s a pretty rich taste right away. No immediately saltiness, but maybe that’s what’s keeping the sweetness of a bottle of Pepsi at bay…! There’s definitely a bit of a salty aftertaste, after about 10 seconds, which is fantastic and unusual. 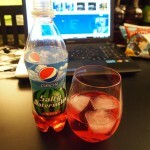 Salty drinks aren’t a regular part of my diet, so it was nice and surprising. It’s still got sweetness in the aftertaste, but it seems to finish a lot cleaner than the last couple of special Pepsis that I’ve tried, with no sourness or residue from sweeteners. I had let the drink warm up a little bit to taste the full range of flavours, but upon tasting it I immediately wanted it to be ice cold and crisp! So three ice cubes in a tumbler later, and the drink is exactly as refreshing as I want it to be. Verdict: An unqualified success. If I were in Japan when these were available I would’ve been drinking one a day… which is probably a terrible idea now that I think about it. 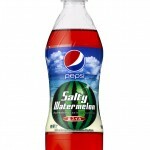 Seriously though, if you can go to the convenience store and pick up a delicious, refreshing, crisp watermelon soda that you know will only be available for a limited time? Why wouldn’t you do it?